Provide current news and announcements about the NTU Library in general, and current news and announcements pertaining to Engineering Library. 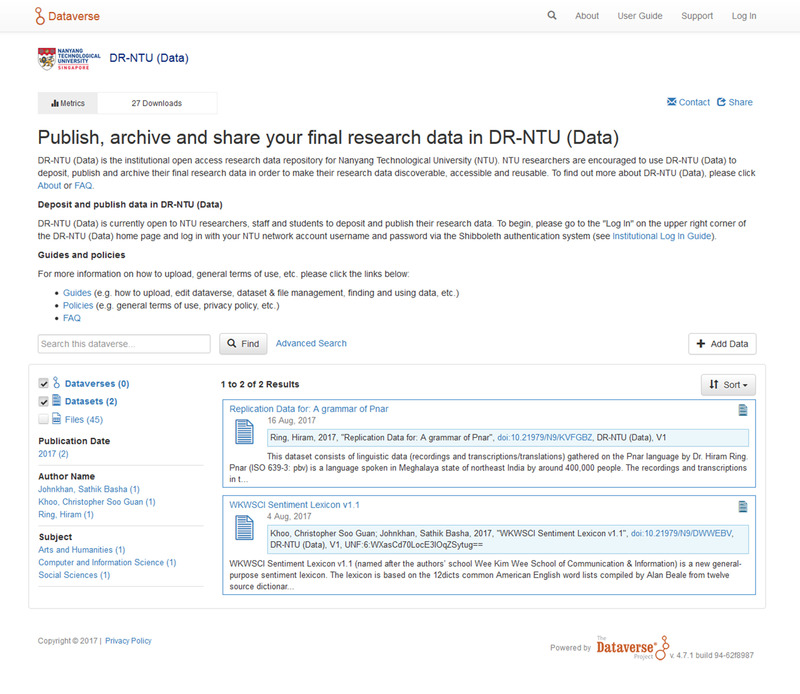 NTU open access data repository DR-NTU (Data) is ready! This entry was posted in News, Resource Highlights, Service Highlights on August 31, 2017 by Goh Kheng Hiang. This entry was posted in Happenings, News on March 7, 2016 by Lee Wee Nam Library. A new technology developed in NTU could help companies and factories cut their energy bills by as much as 10 per cent. The new algorithm which can analyse energy consumption by tapping on computer chip sensors already found in equipment such as computers, servers, air conditioning systems and industrial machinery; extract all readily available data and turn them into useful analytics is developed by SCE Asst Prof Wen Yonggang and licensed by NTU-incubated Evercomm Singapore. Evercomm co-founder and NTU EEE alumnus Ted Chen (holding their wireless chip in the photo) who worked with Prof Wen to commercialise the technology, said: “With NTU’s new analytic engine, … large semi-conductor factories and campuses could save up to S$1 million a year without a need to change much of their hardware, and instead, tune their operation and time their energy usage.” See the full report here. This entry was posted in News on January 7, 2016 by Tint Hla Hla Htoo. This entry was posted in News and tagged colorectal cancer, SCBE on November 13, 2015 by Kannadasan Venkatachalam. ST Engineering and Nanyang Technological University (NTU) have set up a joint research lab, named ST Engineering-NTU Corporate Laboratory to develop advanced robotics and autonomous systems that will improve airport operations and disaster rescue. This entry was posted in News on July 10, 2015 by Goh Kheng Hiang.